A Lincolnshire firm has been fined by the Lincoln Magistrates’ Court and ordered to pay the costs of the prosecution after a worker was seriously injured in a fall at work this year. Timmins Engineering and Construction Limited was fined £4,000 after an unnamed 30-year-old worker suffered a broken back after a fall from height on 17 January 2013. On the day in question the worker, who was employed by Timmins Engineering and Constructions Limited, was working on replacing fibre cement sheets on a storage building with prepared steel sheets, using a variety of equipment. Part of the way through installing the metal sheets, the worker stepped on one of the cement sheets. This was not strong enough to support his weight and fractured, causing him to fall to the floor below. He managed to land on his feet but then fell on his back, with his vertebra taking the impact. It is not currently known whether the worker has or will claim personal injury against his employer. The Health and Safety Executive investigated the accident and found that there had been a number of serious health and safety violations by the company, including the fact that although the work had been planned, it was an extremely unsafe method of working and the firm had failed to mitigate against the risks of the danger of working with fragile material. It therefore recommended that the firm be prosecuted for health and safety breaches. 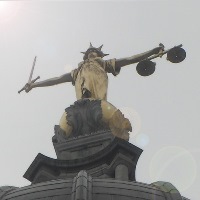 The case came before the Lincoln Magistrates’ Court on 12 December 2013, with Timmins Engineering and Construction Limited pleading guilty to two separate breaches of the Work at Height Regulations 2005. The firm was therefore fined £4,000 and ordered to pay the prosecution’s costs to the amount of £985. Neither Timmins Engineering and Construction Limited nor their criminal defence solicitors appear to have commented on the case since the sentencing.